All of our veterinarians at Advanced Animal Care of Colorado are competent and knowledgeable in the area of surgery. However, there are times when difficult or unusual cases are presented to us. In times such as these we may recommend to have surgery performed by a board-certified veterinary surgeon. Board-certified veterinary surgeons have undergone additional training after veterinary school in order to become a specialist. This training consists of a minimum of a 1-year internship followed by a 3-year residency program that meets guidelines established by the American College of Veterinary Surgeons (ACVS). During the residency there are specific training and caseload requirements that must be met. In addition to these requirements, applicants must perform research that is published in a scientific journal and then pass a rigorous examination. These specialists are able to offer experience and proficiency in order to ensure the best possible outcome for your pet and your family. Learn more about the American College of Veterinary Surgeons (ACVS). A board-certified small animal surgery specialist, Dr. Kevin McAbee is available as a mobile surgeon to us and other veterinary hospitals through his company, Spire. Dr. McAbee is a CSU Vet School graduate who has over 10 years of experience in veterinary surgery. Complex orthopedic, soft tissue, oncologic (cancer) and neurologic surgeries are performed here in our hospital so that we can tailor individual anesthetic, pain, post-operative and rehabilitation plans. 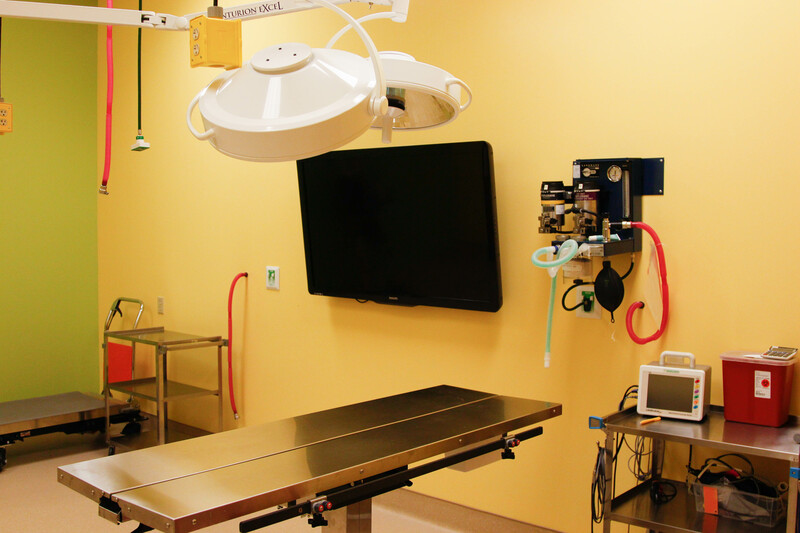 Dr. McAbee has extensive experience in all aspects of veterinary surgery, including orthopedic, neurologic, and oncologic surgery, as well as advanced training in minimally invasive orthopedic surgery such as arthroscopy. Find out more about Spire. For very complicated and individualized cases we may anticipate a difficult anesthesia. At Advanced Animal Care of Colorado we also have the capability of partnering with board-certified veterinary anesthesiologists. These highly trained veterinary specialists also undergo rigorous internship and residency training in the area of anesthesia similar to that of a veterinary surgeon. Again, these specialists are able to offer pointed knowledge and expertise in order to ensure the best possible outcome for your pet and your family. Learn more about the American College of Veterinary Anesthesiologists (ACVA).